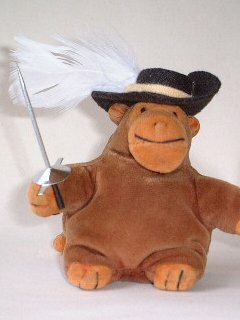 Mr Monkey's musketeer's hat is made of felt (apart from the feather, of course). The rapier he wields so well is a cocktail stick with a bit of silver cardboard. *The "Greatest Swordsmonkey in all France" apparently.